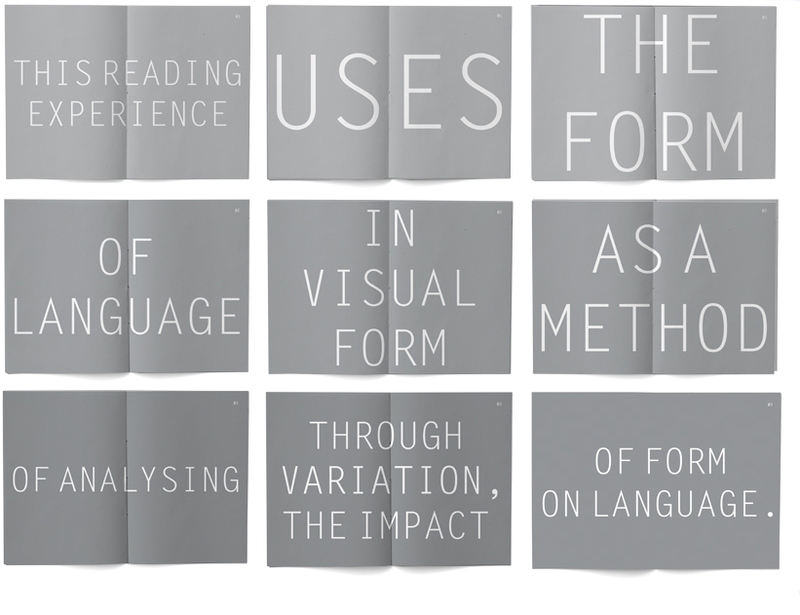 A series of nine books that contain fragments from three self-referential statements on form and language. These statements can only be revealed through the correct configuration of fragments after the books have been correctly arranged on a flat surface. 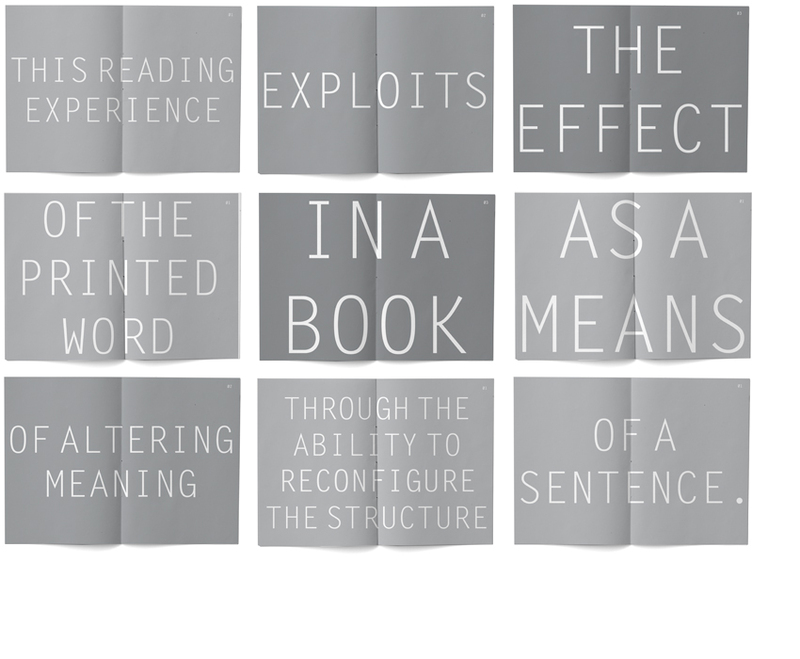 A reconfiguration of the fragments to generates language. Forms part of Hacked Language.